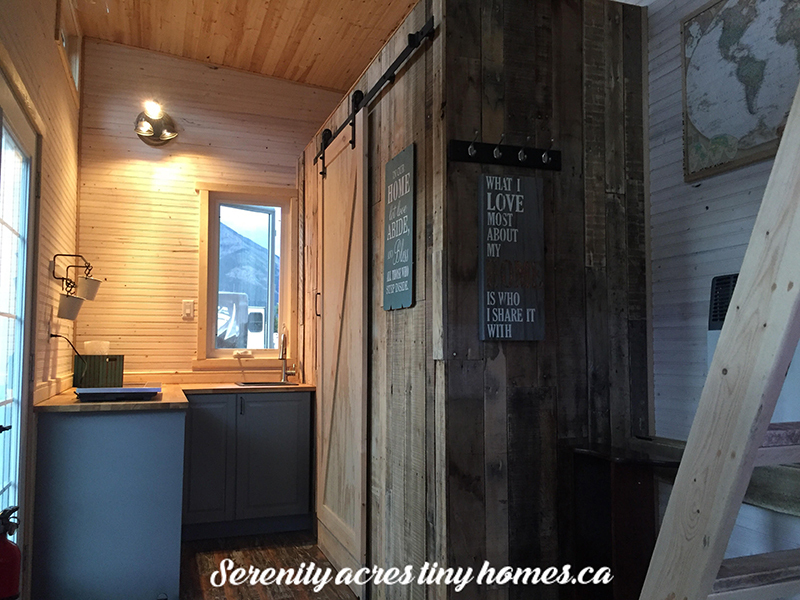 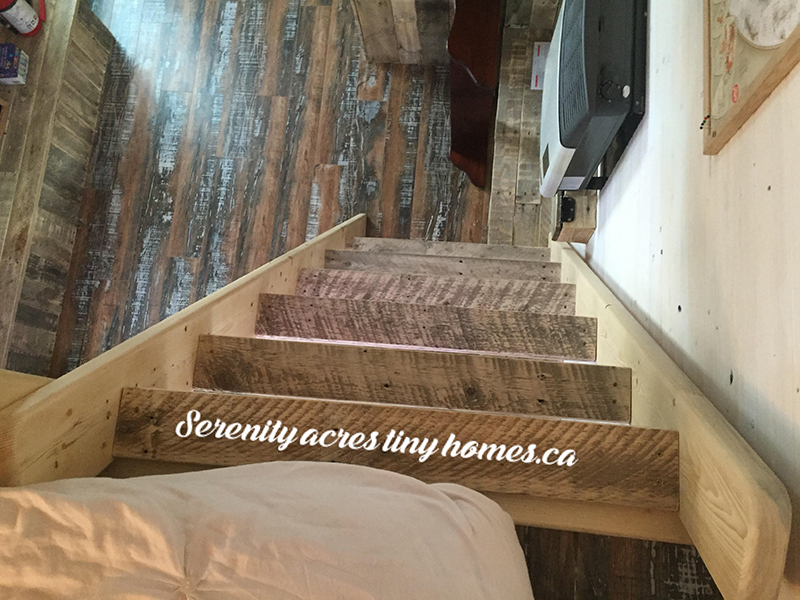 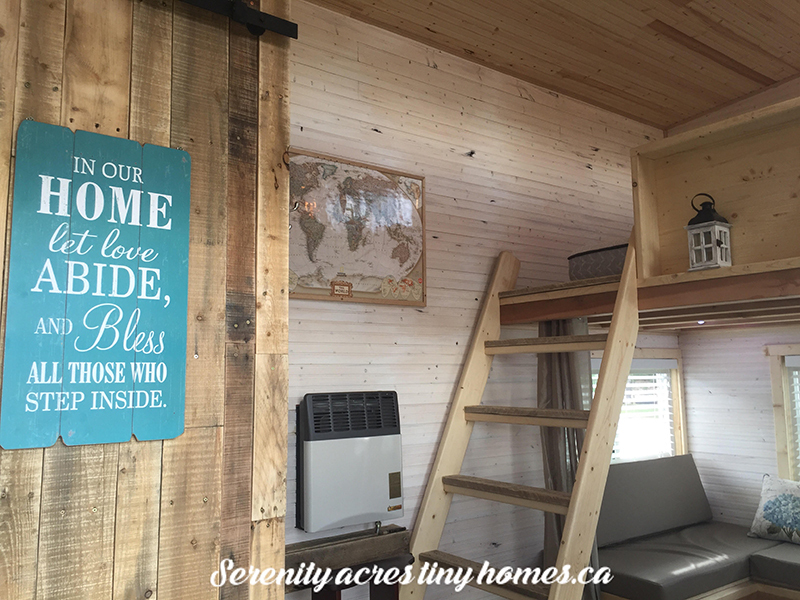 This tiny house on wheels is designed and built by Serenity Acres Tiny Homes, a company based in Carlsbad, Alberta (just outside of Calgary). 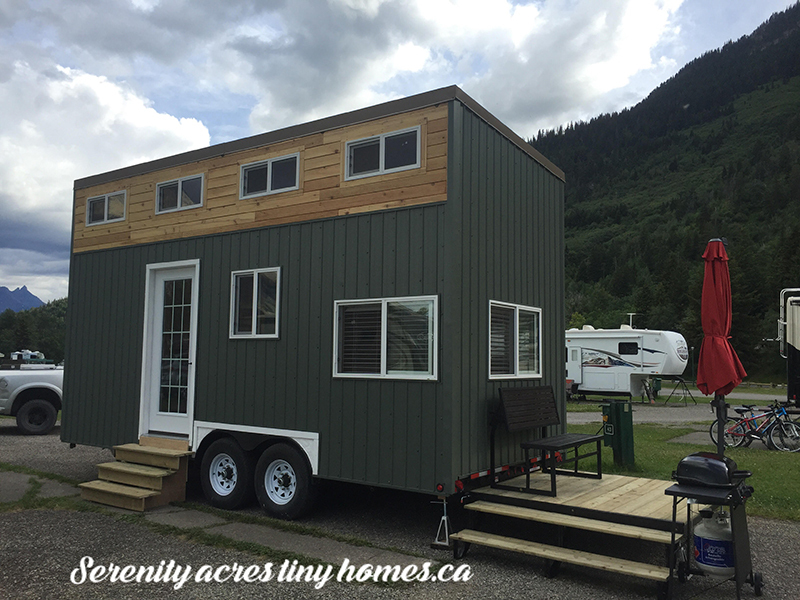 Named the “Waterton”, the home measures 20ft by 8.5 ft and has an interior size of about 170 sq ft. 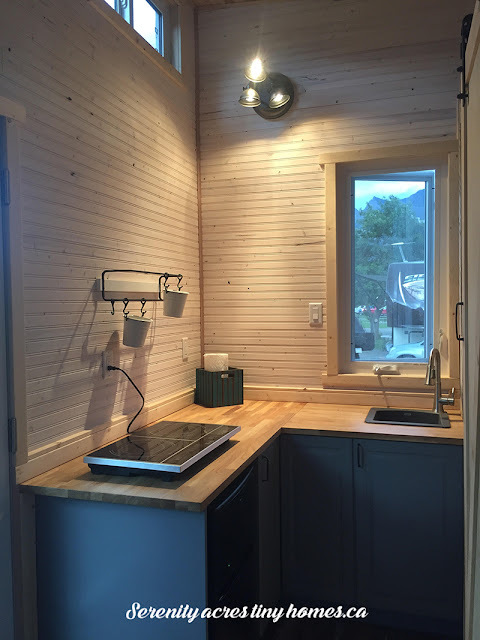 The home features a full kitchen with a small granite sink, butcher block countertops, a two-burner induction cooktop, open shelving, and a Lazy Susan. In the bathroom is a flush toilet and 36” shower. The Waterton comes equipped with an on-demand propane water heater, and a direct-vent propane heater to keep the home warm. 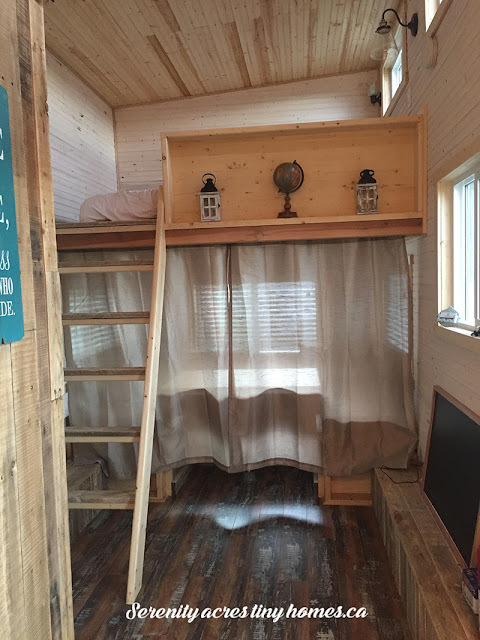 The also features two sleeping spaces. 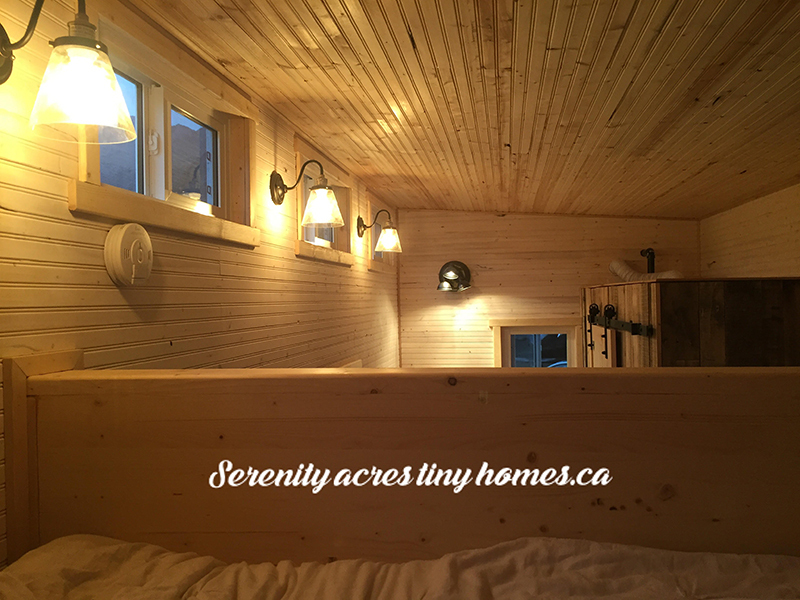 The main bedroom is in the loft and large enough to fit a queen-sized mattress. 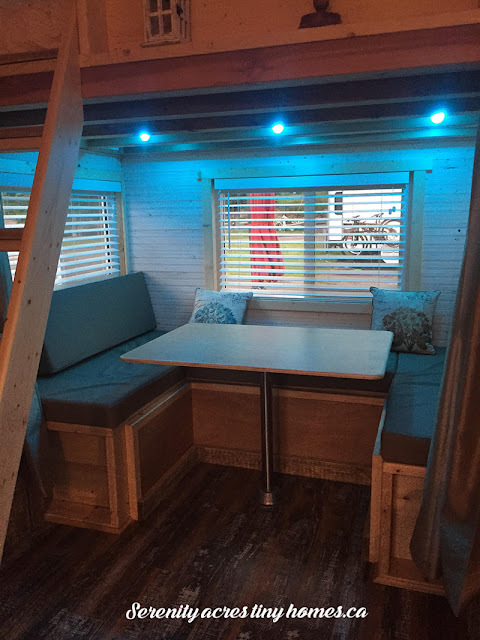 The second bedroom features a queen-sized convertible bed that transforms into the home’s dining booth. 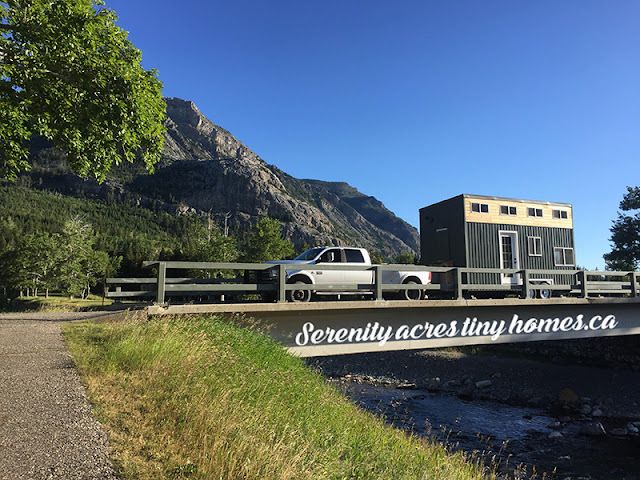 Contact Serenity Acres for more info and pricing here!